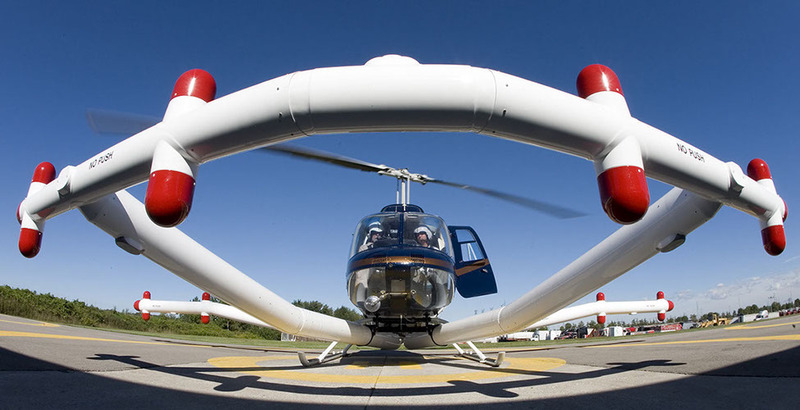 National Helicopters provide a wide range of utility and contract services. Whatever the task, we have the equipment and highly trained staff for any type of helicopter operation. See some of the services with offer below. Contact us for more information and pricing. Since 1993 National has specialized in Mineral Exploration contracts in Mexico, Canada and the United States. It follows that no location is too complex for the company, whether flying, performing maintenance or acting as a broker. Virtually no complex project involving helicopters is beyond the scope and experience of National Helicopters. Throughout North and Central America the "National" name has become synonymous with a professional approach to the complexities of Domestic and International helicopter operations. The work performed has included long line seismic magnetic and EM systems and various mounted boom systems. 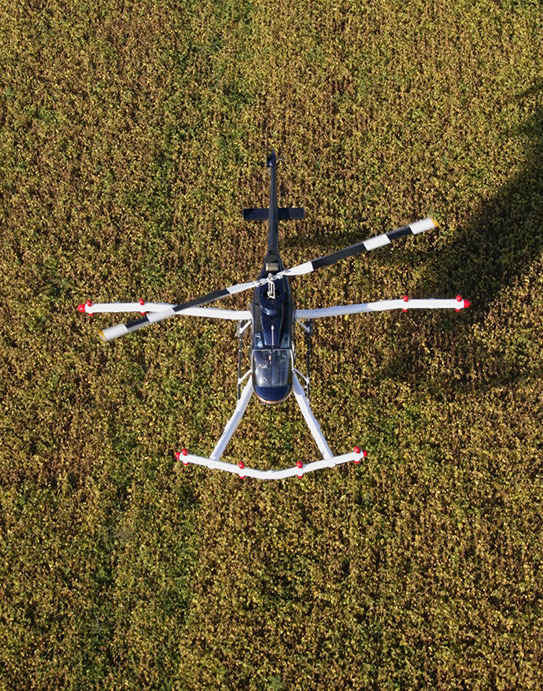 Many of these systems have been tested and certified by National Helicopters prior to actual surveying. In particular, National has performed extensive low level survey operations with both magnetic and EM fixed systems. This work has involved end clients such as The United States Air Force, Navy, and Army and is performed throughout North America for the purpose of Unexploded Ordinance Detection (UXO). National's comprehensive knowledge of the helicopter market, means a rapid response to the needs of the customer, whether for Aerial work or Air Taxi. The speed and range combined with the versatility of a helicopter provide an efficient and trouble free means of transferring personnel or equipment. Aerial construction has many advantages over the use of crane services, both in manpower savings and bottom line costs. 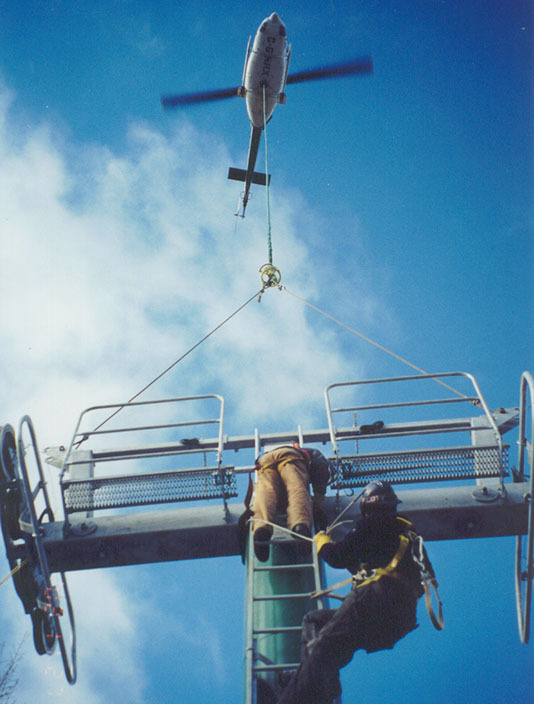 Utilizing a helicopter eliminates the setup and tear down costs of employing a conventional crane. Helicopters enable contractors to work quickly and safely around conveyors, air conditioning housings, chillers, towers, etc. The traditional problems of cranes not having enough 'boom' to reach into expansive rooftops are no longer an issue. 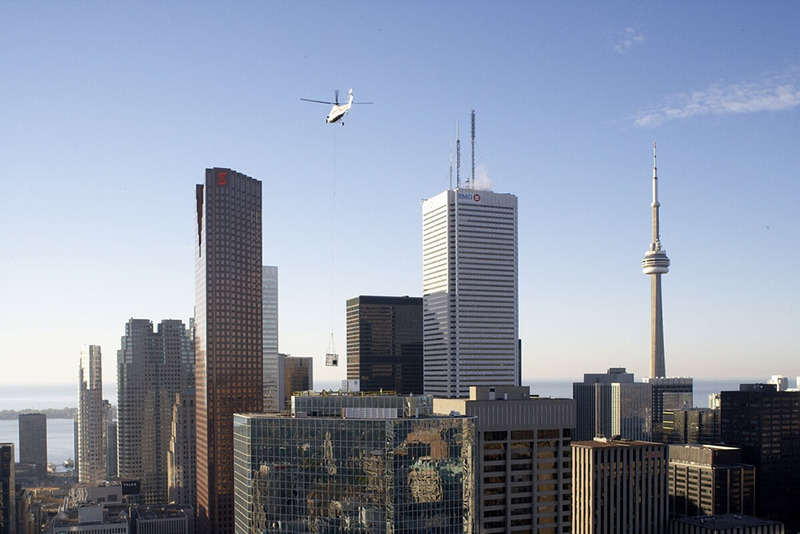 National Helicopters is one of the largest helicopter operators in Eastern Canada having performed aerial lift work on many buildings in the Greater Toronto Area including City Hall, Queens Park, Eaton Centre, Yorkdale and Square One Malls, Ford and Honda Plants, Blue Mountain ski lifts and numerous apartment/condominium complexes. National has received several Transport Canada and Aviation safety awards in performing over 40,000 incident and accident free flight hours. National Helicopters operates Bell 206 JetRanger, Bell 206 LongRanger and Bell 212 helicopters. These aircraft are capable of lifting loads of up to 2900 lbs. in a single pick. Our pricing is based on a positioning/repositioning fee, a per lift cost and any necessary Transport Canada permit fees. 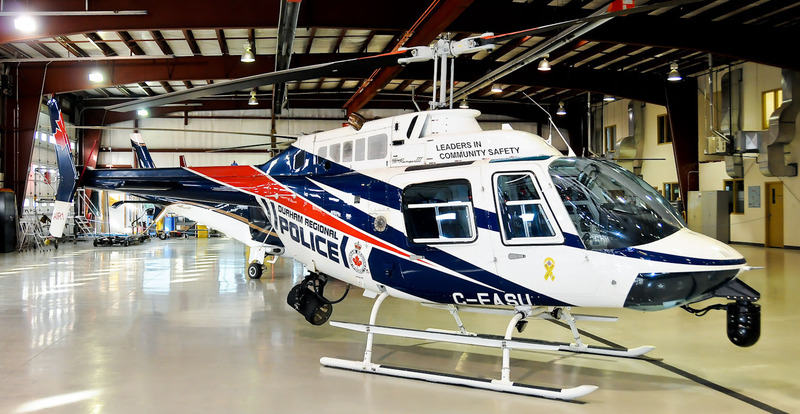 National Helicopters was chosen over many companies to provide the Greater Toronto Area's first dedicated policing helicopter. This service was provided for the York and Durham Regional Police Services in a ground breaking, six month joint operation in 1999. Following a very successful trial period within both services, Durham Regional Police chose to continue utilization of "Air 1" for it's positive results in crime fighting. In 2003, National Helicopters was again chosen to provide service for the York Regional Police Air Support Unit's "Air 2". At present, National continues to provide service to the Durham Regional Police Services. National Helicopters has been a leading service provider for government law enforcement agencies and medical facilities for the past 30 years. National Helicopters currently has an extended service contract with the Dutch Ministry of Health. The year round contract serves the Dutch Caribbean Islands of Saba and St. Eustatius, transporting medical patients to the Islands of St. Maarten and Guadeloupe. 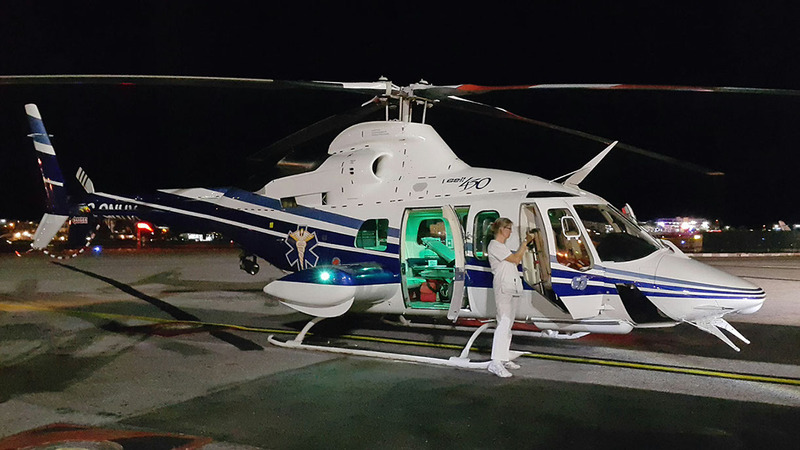 National Helicopters provides exclusive medevac service utilizing VFR/IFR twin engine Bolkow 105 and Bell 430 helicopters, operating from the Island of St. Eustatius. Both helicopters are operated with a two pilot IFR capable crew and trained flight medics/nurses. Due to its expertise and highly trained personnel, National Helicopters has continued to successfully export its services throughout Canada, the United States, and Central America. Over the past ten years National has established bases in Toronto, Oshawa, London, Sudbury, Bolton, Mexico City and Acapulco, Mexico. As its greatest export, National has worked to become one of North America's most respected and experienced companies in the spectrum of helicopter aerial surveying. We have been instrumental in the certification of many fixed and towed systems that we now actively utilize throughout North America. National has attained exceptional growth by continuing to add new ventures to its work portfolio and will welcome inquires from any nation. OVER 30 YEARS SERVING SATISFIED CUSTOMERS WORLD WIDE!